Kenya Jobs: What Are Your Opportunities For Work In Kenya? This page gives information about finding Kenya jobs, backgrounds about salaries and working conditions, and other details about working in Kenya. There are many laws regarding employment in Kenya, with many intended to protect workers. Most Kenya jobs have similar regulations as do jobs in North American countries - at least on paper. Workers are entitled to paid leave, extra pay for overtime hours, union representation and relatively safe working conditions. It’s not easy for foreigners to find a job in Kenya. Foreigners who do find jobs, often do so in tourism (the biggest foreign income earner), journalism (Kenya’s newspapers are respected internationally), teaching, advertising and perhaps most often in the development & aid sector. Remember that Nairobi is packed with UN agencies and Kenya hosts many Western organizations active in neighboring, war-ridden Somalia. While the work is dangerous and low-paying, it may be very satisfying and interesting work. However, like elsewhere, the rule seems to be that if a Kenyan can be found for the job, there’s no need to hire a foreigner. Job offers often aren’t advertised, so they way to find out is to spend much time with expats and to ask around. There aren’t many websites that list job offers, and those that do are often not up to date. 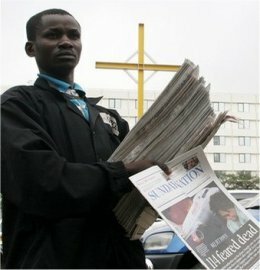 One exception is the Kenya Jobs blog at http://kenyanjobs.blogspot.com, which has fresh job offers almost daily. Jobs in Kenya can be hard to find simply due to the high rate of unemployment in the country, and lack of job diversity. 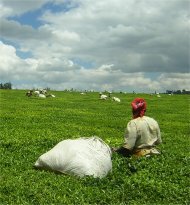 The main industry in Kenya is agriculture (with tea, coffee and flower farming being rather big), and approximately 75% of the population is employed in that field. In terms of revenue, tourism is big as well. The official unemployment rate in 2004 for 15%, though some estimates place the true figure much higher. People with very specialized training in fields other than agriculture may find Kenya job opportunities to be scarce. This has created a difficult situation as more and more young Kenyans pursue higher education, only to find the job market cannot accommodate them. A regular work week in Kenya is 45 hours long, and typically includes work time on Saturdays (approximately 5 hours). The legal limit is 52 hours per week, though it may be extended for those working night-time shifts. Minimum wages for Kenya jobs vary by location and skill level, and are not consistent through the country. In 2006, the minimum wage for an urban worker was approximately 4,600 Kenyan shillings, which was $60 US per month (at 2006 exchange rates). This not enough income to support a family, which leaves many workers relying on additional work or subsistence farming to survive. Wages in Kenya are usually paid monthly, except for casual workers who get paid at the end of each day. Most full-time employees will have some deductions to expect with each pay check. Pay As You Earn (PAYE) income tax deductions are the most common. There may also be deductions for the National Hospital Insurance Fund, to support the health care system.